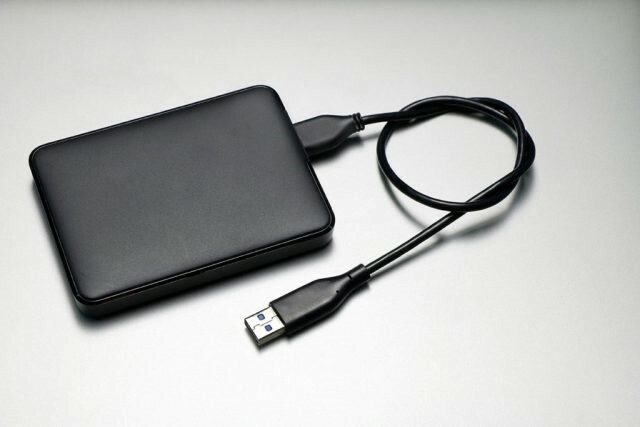 External hard drives provide users such an easy option for data storage. They can last for years, are portable, and are a cheaper option than SSDs. It’s no wonder why the market already has a variety of selections for users who have certain specifications as to the hard drive’s data capacity, size, and style. While there is no hard number to external HDDs’ life expectancy, they will still surely degrade over time. Just as any other hard drive, an external HDD can also crash, fail, and die as they are made up of moving components that are prone to mechanical and physical failures. We may not know how long they’re going to stay, but the good news is: there are certain ways to make them last longer. Given that your external hard drive isn’t a product of a factory defect, you may enjoy its services for years and even decades. Keep reading to learn ways on how to extend the life of your external hard disk drive. According to the MTBF (Mean Time Before Failures) rating, each external hard drive can manage an average of up to 50,000 read/write cycles. The test is generated to give users an idea of how long an external HDD can last and with the number presented, it’s going to be a long time. The test, however, isn’t an accurate measure of the lifecycle of an external hard drive. Experts from the Carnegie Mellon University, for example, argued that the MTBF ratings are 15 times higher than the projected lifecycle of the manufacturers themselves. It was revealed by the same institution that the drives only have an average lifecycle of about 5 to 7 years. Other experts posit that the average lifespan ranges between 4 and 5 years. Yet, we now know of some external hard disk drives reaching their 10th year or even a couple more decades. The available data on the lifecycle of HDDs only tell us one thing – hard disk drives do not have a pre-determined lifecycle. They can last for decades, years, or for only a few months. When compared to internal desktop HDDs, portable hard disk drives are relatively more fragile as they are designed to be moved around. This feature makes them exposed to dust, moisture, and heat which can also shorten their lives. It also makes them prone to mechanical failure and physical accidents as their moving pieces can malfunction over time and be hit, bumped, or dropped. Even without meeting accidents, external hard drives will still fail sooner as they have a smaller circuit board inside their bridge chip. Since they are activated through every USB insertion, the board which handles the SATA to USB conversion more quickly meets natural wear and tear. Thus, for external HDDs that are not accidentally damaged, the main cause of failure is the circuit board and not the hard drive per se. Other than natural wear and tear, there are many other reasons why external HDDs fail. A sudden power failure is one. When the device is attached to a computer and power interruptions occur, it experiences fluctuation in its power supply which can be detrimental to your files and cause serious damage to your hard drive. All of these can happen unless you are using a UPS (Uninterrupted Power Supply) that continually keeps the computer running for a short time after power interruptions. Another common reason for an external hard drive’s demise is firmware corruption. A firmware is a software written to the external drive’s platters and is responsible for the drive’s major functions. When the firmware is corrupted, there will undoubtedly be a series of problems. When these problems are present, you’ll experience difficulty in initializing your external drive. It will also make some clicking noises and will cause your drive to run slowly and improperly. The ultimate issue is difficult to access the stored data in your drive. Most often, this can lead to data and drive corruption which will compromise all your files and disable writing and reading on the hard drive. Some defective external hard disk drives are also out on the market. Although most of these products undergo strict testing and examining, it is still inevitable to encounter faulty drives. 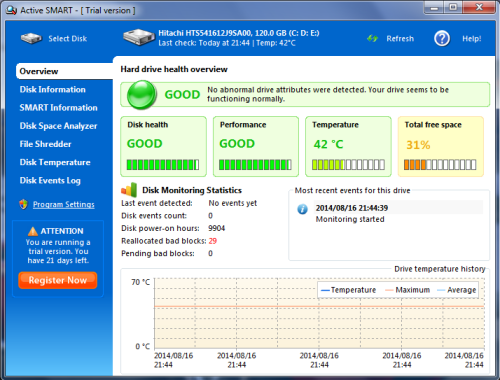 The problem usually becomes noticeable before the drive’s first year of use. Users will experience difficulty in booting the device or in computer detection. If you suspect your external HDD to be a defective product, review the warranty period provided by the manufacturer and request for a return, replacement, or refund. Among all other reasons for external HDDs’ failure, human error remains the most typical one. Oftentimes, this is done unintentionally but can also be the result of intentional actions such as changing the system files’ attribute or modifying registry files. These are all in addition to user’s negligence in handling the drive physically. Any form of mishandling can put your data at risk for corruption and your drive towards decreasing its lifespan. Before any of these happens, be wary of the symptoms that can help you take appropriate actions. Which among the leading external HDDs last the longest? Many users believe that the most well-known brands also produce the most dependable external HDDs that last longer than many others. True enough, there is no bandwagon effect on this matter. These brands are known because users do not only trust their credibility but also find their products worth the money. Brands such as Seagate, Samsung, Toshiba, Western Digital, and Hitachi are among the highly acclaimed brands. But which among these brands last the longest? These consumer-grade brands, along with their specific models, were put to test by Backblaze back in 2013. The failure rates of 27,000 hard disk drives were closely examined to identify which brands would earn impressive marks for reliability. Results show that HGST (Hitachi) has generally outrun both Seagate and Western Digital upon gaining the lowest percentage for failure rate. This means that among all tested brands, Hitachi hard drives lasted for longer periods of time. Nevertheless, Samsung and Toshiba were taken out of the picture as there were not enough data for them. 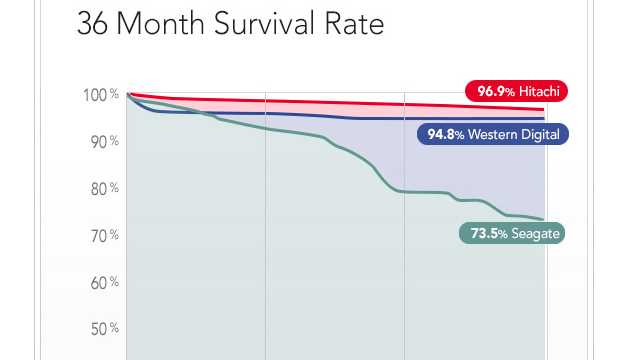 Both brands, however, also had lower failure rates than Seagate and Western Digital. In 2015, another test was conducted where Hitachi remained the most reliable among all others. Only this time, Western Digital received the highest failure rate followed by Seagate and Toshiba. In their 2016 report, Hitachi held firm to its top position while Seagate was brought back to the bottom. On the other hand, Toshiba was ranked closed to Hitachi as being the brand with the lowest failure rates in their hard drive products. It is important to note that all the results discussed do not debunk the overall reliability of Seagate and those at the bottom ranks. After all, some of Hitachi’s products also experienced failures early on. The consecutive studies also didn’t focus on the age of the hard drives when they fail because none of them failed in the first place. Thus, their failure rate in each year were the ones analyzed. Your external HDD is your best pal in data storage. Not only can it handle all your prized files, pictures, and videos, but also allows fast data transfer wherever you are at any given time. It is a scary thought that any moment now, your portable pal can give up on you. But the thing is; it really won’t unless you give up on it first. Here are some essential tips that’d help you extend the life of your external HDD. The quickest way to decrease the lifespan of your drive is to be extremely rough in handling it. Do not just leave it in an open space where dust, water, or other physical elements could shorten its existence. Keep it safe in a case and a storage area where any threats can be avoided. If you have to carry it in a backpack, be sure to store the device safely in a soft case or box. When there’s no access to any, just wrap it around a cloth or a towel to protect it from any imminent impact. Be sure that your external drive is also placed on a flat, non-slip surface to prevent it from falling. You don’t have to hand carry the external HDD or tuck it to bed at night; just make sure it’s in a safe spot. That should extend its lifespan. Sometimes, when users are hurrying to work or school, they just pull their external drive outright without ejecting it first. If you’re doing this, you’re also rushing your drive to its deathbed. Worse, you’re running the risk of losing your important files! Make things right and hit that ‘remove USB device’ option on your PC to give it time to properly shut off. This act will diminish the possibility of damaging your drive while unplugging your device in the middle of a write event. If you ever face the worst case scenario of having corrupted files due to abrupt drive ejection, do not panic as there are ways to deal with the situation. As you plug your drive into the computer, you’ll see a prompt stating ‘USB drive is not formatted. Do you want to format it now?’ There are two things you can do. First, you can opt to format the drive right then and there given that you had backed up all your important data. The other option applies if you haven’t done so. Use a recovery software that’ll help you to restore data quickly. If you choose not to format your drive, you will never be able to reuse it. Various problems can arise when an external HDD overheats. They range from temporary malfunctions to the eventual death of your drive. Too much heat is generated when the drive continually spins for a long time or when it positioned in a hot spot. To avoid any problem, don’t overuse your drive and keep its surrounding area cool. Before the first sign of danger appears, it is important to be aware of your drive’s health. If you have already found some problems with its operation, immediately fix them then and there to avoid any serious consequences. One of the common problematic issues is a bad drive sector. The best way to solve this is to run a health check software to monitor and report on all of your hard drive’s parameters. Using health check programs like CHKDSK (check disk) or SMART (Self-Monitoring, Analysis, and Reporting Technology), you can fix various system errors and assure the integrity of your external HDD. Many external HDDs on the market nowadays have a large storage capacity which is one of its best assets. However, this doesn’t mean that there is no harm in it being full; in fact, there is. A full disk hastens the device’s wear and tear as well as puts your important data at risk for viruses. It pays to clean your external HDD of all unwanted or unnecessary data before any problem is noticed. If you don’t want to remove your files, at least compress them to make more space on your drive. One of the most neglected aspects in handling external HDDs is the use of cables and power cords. Some mistakenly use such long cable wires that tangle with any other things that surround, eventually pulling the external drive onto the floor. Others utilize power cords that simply do not function compatible with the device. Using the wrong cables could damage the drive, whereas plugging the wrong power cords could cause a power surge that will overheat the drive. This negligence should immediately be stopped as it can define the best or worst state or your external HDDs. Let’s face the hard truth. Your hard drive will eventually fail you. But the thing is; you already know the preventative measures that’ll keep them healthy and safe for a long while. These will help you save on the cost and rid you of too much anxiety from an untoward loss of your files and death of your external hard drive. However, keep in mind that the only sure way to secure all your data is to save them on multiple storage devices and the cloud.